Heat the oil in a pan. Sauté the shallot for approx. 5 mins. Add the radish (excl. leaves) and cucumber, cook briefly. Pour in the stock, bring to the boil, cover and simmer over a low heat for approx. 20 mins. Add the cream, blend until smooth. Blanch the reserved radish leaves in boiling water for approx. 30 secs., dip briefly in ice-cold water, drain and chop finely. Mix in the cress and oil, season with salt. 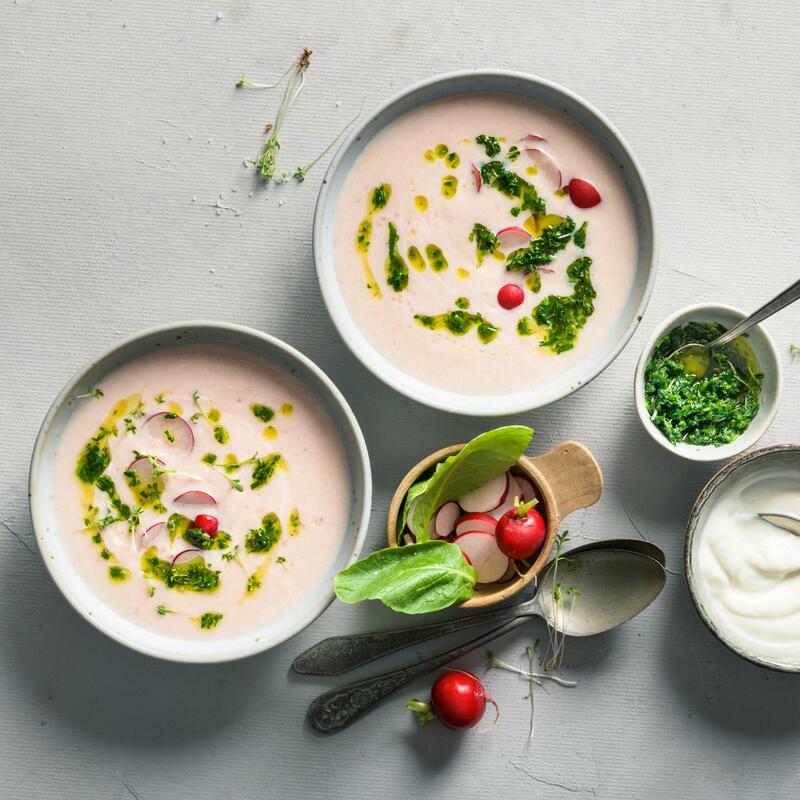 Divide the soup between bowls, finish with the oil, cream and radish. Serve the soup lukewarm or cold.